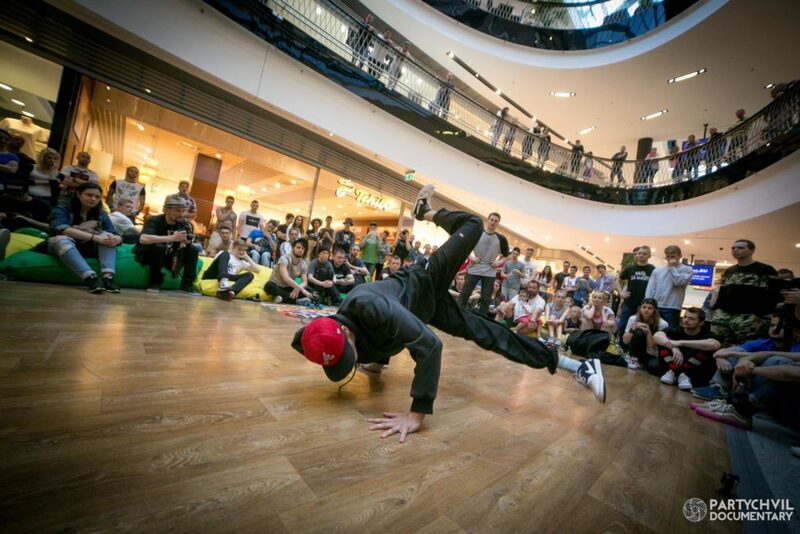 For the seventh time top Slovak bboys and bgirls will face each other during the battles on May 21, 2016 in OC CENTRAL shopping center in Bratislava, Slovakia. The fate of the contestants will be decided by our three-member jury in international composition: MG (Hasta La Muerte Crew – Slovakia), Sapa (Breaknuts Crew – Ukraine) and Outbreak Europe winner of 1 vs 1 girls from 2014 Paulina (Breaknuts Crew – Poland). Lil Pablo on the mic in tandem with DJ Miniboj (Hasta La Muerte Crew – Slovakia) will hype the crowd. 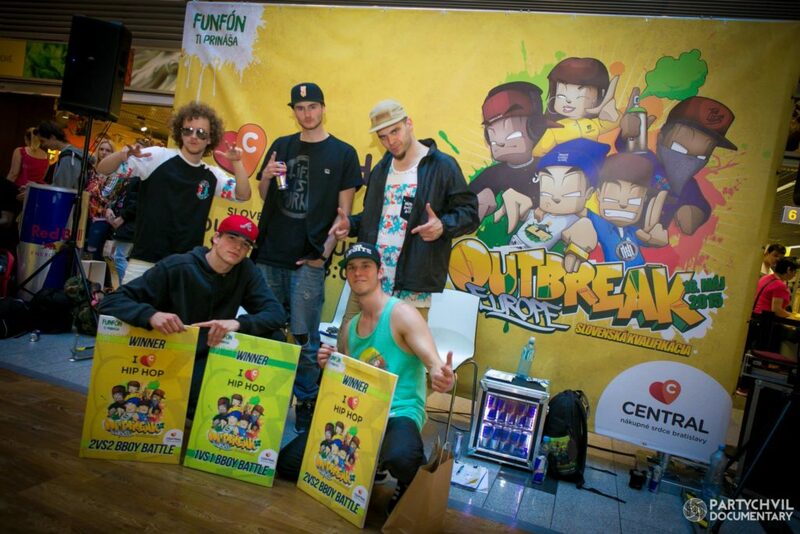 Winners of outbreak Slovakia will advance to the world finals of Outbreak Europe that will take place in Banska Bystrica on July 29 – 31, 2016. Outbreak Europe is part of The Legits Blast Festival, which is supported by the city and Mayor of Banska Bystrica. The Festival consists of several events such as Catch The Flava, Producer Challenge, Graffiti Jam, Open Mic, New Style Hustle, Undisputed, 3 x 3 Basket, The Legits Blast Concert, Rep Your Country and lot more. 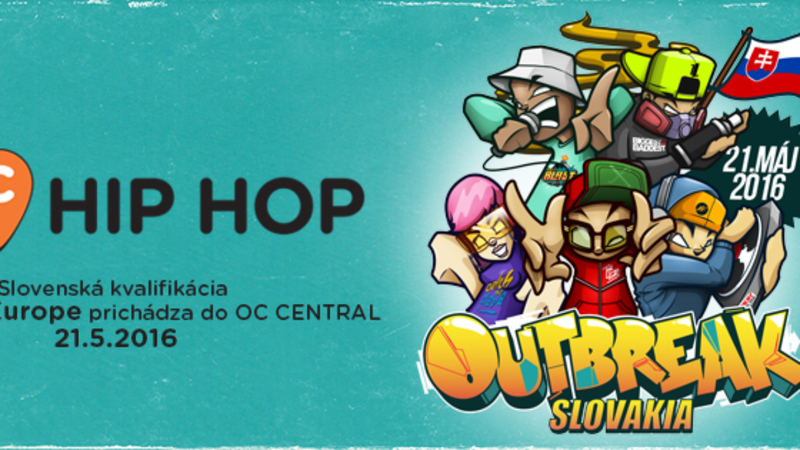 Central Slovakia will become a hotspot for all lovers of hip-hop, music, dance, and those who want to have fun and party.